Lipodrene® is Hi-Tech's original Weight Loss & Energy Enhancement Supplement and has become the benchmark standard for the weight loss industry. It's everywhere. 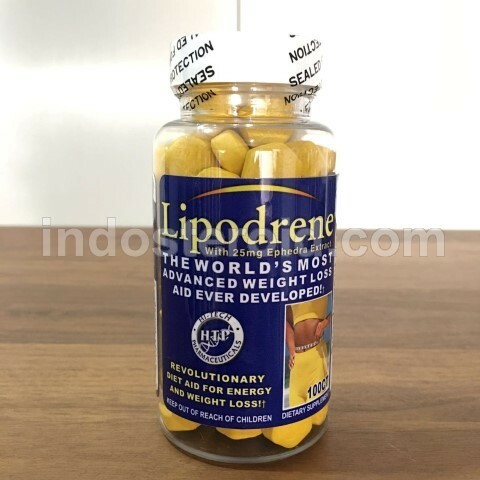 Anyone who has shopped around for a good weight loss product has seen the yellow hexagon Lipodrene® tablets in tens of thousands of health food stores and internet retailers. Now, more than a fifteen years after its introduction, and after more than 1billion tablets sold, Lipodrene® not only remains Hi-Tech's flagship weight loss aid, but also America's #1 selling ephedra containing weight loss aid for one simple reason: When it comes to weight loss ingredients, Lipodrene® has them all!